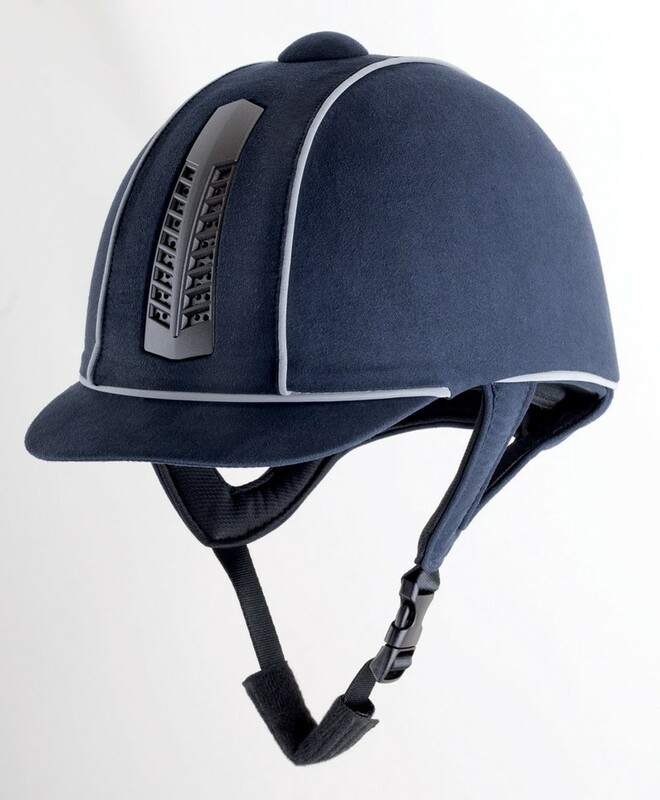 Ventilated hat with removable, washable liner featuring soft suede style Coolmax® lined harness and ‘Dayglo’ reflective piping for increased visibility. 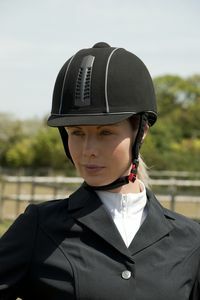 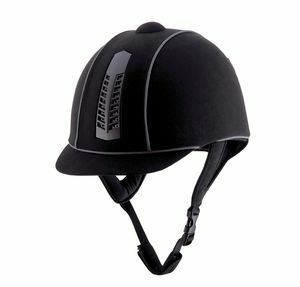 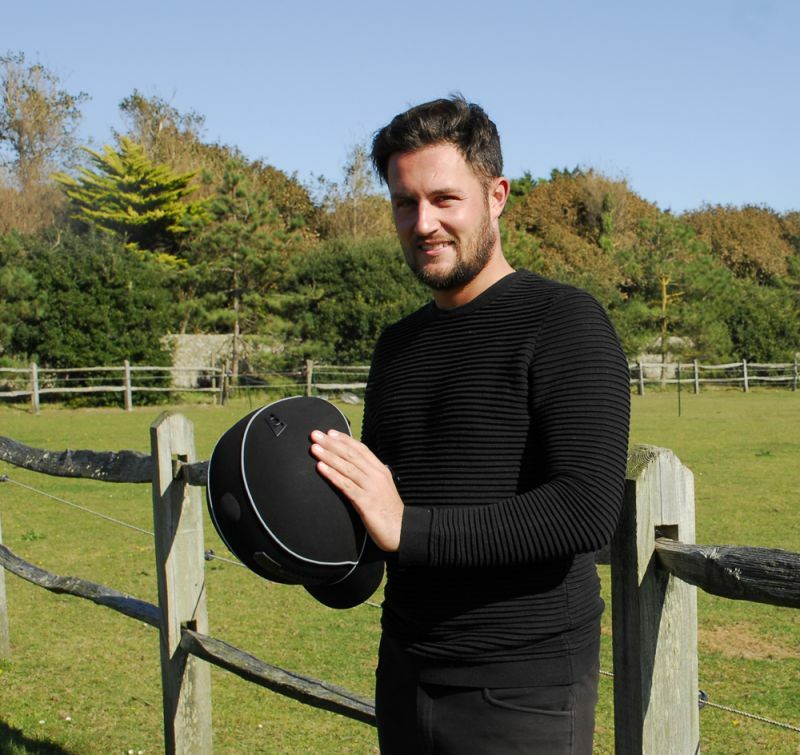 This hat is Safety Standard PAS 015 2011 meeting or exceeding the required safety criteria for equestrian sports and disciplines. 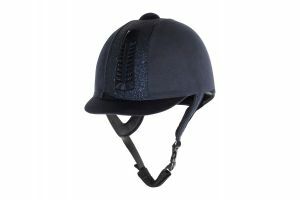 This hat is available in sizes 6 3/8 to 7 1/4 in black or navy. Safety Standard PAS 015 (which exceeds BSEN1384).